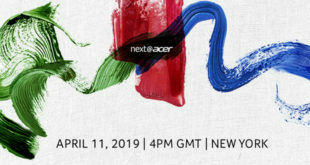 Ahead of this year’s CES show, Acer has unveiled a number of new notebooks for gamers, productivity and professionals. display – and the Predator Triton 500, a 15-inch all-metal gaming powerhouse measuring just 17.9 mm (0.70 inches) thin. The Predator Triton 900 is a gaming notebook in an inventive form factor. It features a CNC-machined Ezel Aero Hinge that flips, extends, or reclines the 17-inch display. Users can switch between four usage modes: Display mode for sharing the screen with friends during gaming sessions, Ezel mode for playing games on the touch screen, notebook mode for traditional gaming scenarios, and stand mode — effectively turning the Triton 900 into a tablet for gaming or using creator tools. The Triton series 900’s trackpad is placed beside the keyboard, giving users natural hand placement for gaming using both the keyboard and trackpad. 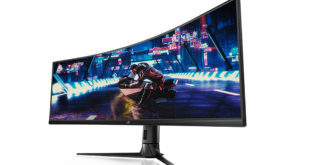 It features the new NVIDIA GeForce RTX 2080 GPU and a 4K IPS1 display with NVIDIA G-SYNC technology. It also comes with up to a six core high performance 8th Gen Intel Core i7 processor, NVMe PCIe RAID 0 SSDs, and up to 32GB DDR4 memory. There is also an Xbox wireless receiver that lets users play their favorite PC games on Windows 10 with an Xbox controller, and audio by Waves, offering head tracking for a hyper-realistic 3D audio experience. US$3,999, and in EMEA in March, with prices starting at €4,199. 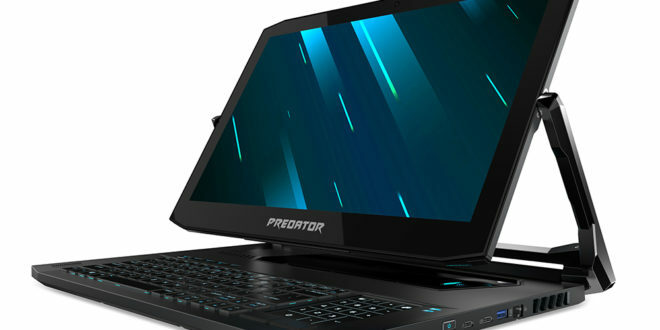 In its gaming range, Acer has also introduced the Predator Triton 500, a powerful 15.6-inch Full HD gaming notebook slimmed down to just 17.9 mm (0.70 inches) thin and weighing 2.1 kg (4.6 lbs.). It has a durable, all-metal chassis and narrow bezels measuring just 6.3 mm (0.25 inches) for an impressive 81 percent body-to-screen ratio. The slimmed down Triton 500 can easily be slipped in a backpack or briefcase. 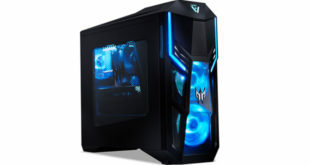 The Predator Triton 500 features up to NVIDIA GeForce RTX 2080 GPUs with Max-Q design, up to 8th Gen Intel Core i7 processors, NVMe PCIe RAID 0 SSDs, and up to 32GB DDR4 memory. Its GPU is overclockable and VR-Ready. The Predator Triton 500 will be available in North America in February with prices starting at US$1,799, and in EMEA in February, with prices starting at €1,999. Aside from its gaming-specific devices, Acer has also introduced its first AMD-based Chromebook. The Acer Chromebook 315 is powered by 7th Gen AMD A6-9220C or A4-9120C processors with Radeon graphics. It can speed through demanding apps, while running multiple tabs and extensions, all during a battery life of up to 10 hours. the Acer Chromebook 315 has a Full HD 15.6-inch IPS display that promises to be “productivity-boosting” for work and school. It is available in touch-screen and non-touch configurations. Last but not least, Acer has unveiled the new Swift 7 notebook, which has a “feather-light” design and is powered by Windows 10. “The Acer Swift 7 strikes a balance between art and technology, and in doing so pushes ultra- portable PC design to new territories” said Jerry Hou, General Manager, Consumer Notebooks, IT Products Business, Acer. “With a striking screen-to-body ratio of an incredible 92 percent, Acer customers can stay more productive with a compact, thinner and lighter notebook that feels ‘barely there’ while carrying it around through the day and during business travel. The Acer Swift 7 (SF714-52T) with a touch display will be available with 8GB or 16GB of LDDR3 RAM and either 256GB or 512GB of SSD PCIe storage. The new Swift 7 will be available in North America in May, starting at $1,699, and in EMEA in April, starting at €1,799. 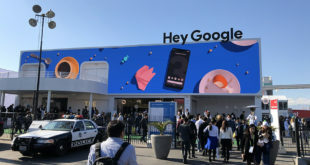 In his latest CES roundups, Tricca MD Paul Richens looks at what Google has to offer at its separate pavilion outside the LVCC.